Happy Halloween from Abnormal Use! 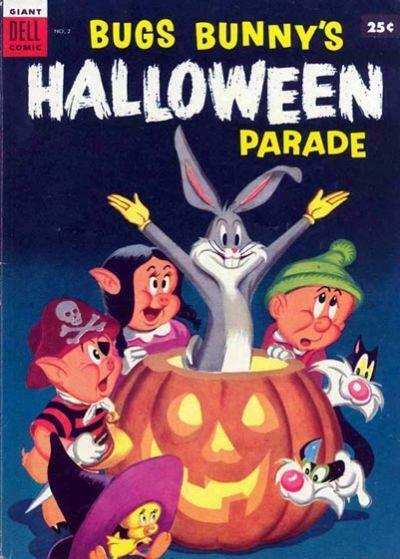 Above, you’ll find the cover of Bugs Bunny’s Halloween Parade #2, published way, way back in 1954. That’s about as family friendly a Halloween comic book cover as we could find for this festive occasion (and you should have seen some of the frightful alternatives we considered). As you’ll recall, in our most recent edition of “Friday Links,” we directed your attention to our recent and past Halloween related posts. We encourage you to revisit those scary entries from our archive of posts. As always, we here at Abnormal Use and Gallivan, White, & Boyd, P.A. wish you a safe and happy holiday. Be on the lookout for interesting Halloween product stories for us! Now that I’m in my early thirties, I have to worry about things I never had to before. Like putting sunscreen on. Specifically, like putting sunscreen on the top of my head. I’m not thrilled about this development in my life. But it turns out I really wasn’t given a choice. Somewhere between genetics and the practice of law, I never had a chance of having a full head of hair. In any event, I’m told that since my hairline has entered the autumn of my life, I have to put sunscreen on my head to avoid skin cancer. But last week, I learned that depending on the sunscreen I use, my head might catch on fire. That’s because Banana Boat issued a recall for some of its spray-on sunscreen products that may have a nasty tendency to react aggressively to open flames and sparks. When it comes down to it, I really only have two requirements for sunscreen: (1) it must prevent my skin from sunburn; and (2) it must not result in my face burning off. Other than that, I’m pretty low maintenance. There’s no doubt that Banana Boat regrets the injuries that have been caused by its product. But we have to give them credit for their response. After the first injury was reported, Banana Boat conducted an internal investigation to determine whether the report was founded, and if so, what the cause was. Banana Boat followed that up with voluntarily engaging in the recall. It’s not easy or convenient for a company to conduct a massive product recall; there’s certainly an adverse impact to the company’s sales and reputation in the short term. But taking this type of affirmative action to address a problem is the responsible thing to do, and we salute Banana Boat’s response. Kim Jong-il was a lot of things. Supreme leader of North Korea. Center of an elaborate cult of personality. And, the greatest golfer the world has ever seen. Who knew he was also a pioneer of science? Rumor has it that Kim Jong-il slowed the aging process by injecting himself with the blood of young virgins. A recent study out of Stanford University suggests the idea is not as crazy as it sounds. Specifically, the study found that the blood of young mice injected into older mice reversed some of the effects of aging. The mice receiving the injections demonstrated improved learning and memory similar to that of their younger counterparts. There was no word on whether the younger mice were of the virgin variety. [The researcher] said that the young blood most likely reversed ageing by topping up levels of key chemical factors that tend to decline in the blood as animals age. Reintroduce these and “all of a sudden you have all of these plasticity and learning and memory-related genes that are coming back”. Which factors in particular are causing the effect is unclear since there are hundreds of thousands in blood. According to the study, young blood transfusions could one day fight off the effects of aging, including Alzheimer’s. If, in fact, this comes to fruition, it could be a monumental breakthrough. When that occurs, expect Kim’s estate to take all the credit posthumously. (And we can’t wait for the young blood products liability lawsuits that will inevitably arrive in that not so distant future.). 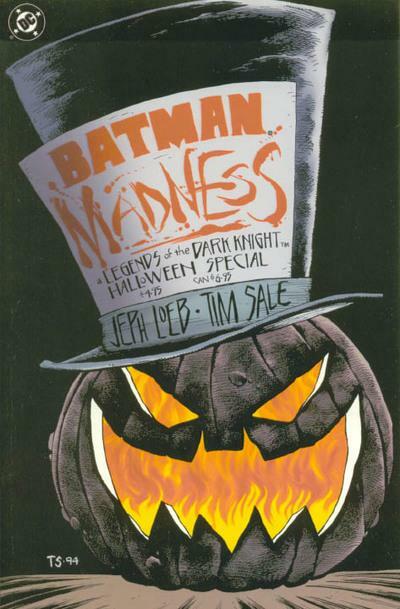 Above, you’ll find the cover of Batman: Legends of the Dark Knight Halloween Special #2, published many moons ago in the halcyon days of 1994. For some reason, Halloween is an overrepresented holiday in comic books, although what would you expect from a medium replete with costumed protagonists? Ah, 1994. Those were the days. Did you know that on October 31, 1994, the band Phish covered the super majority of The Beatles’ White Album at a gig in Glens Falls, New York? We remember hearing about it that year, but the show was not released – officially, at least – on CD until nearly a decade later. That has little, if anything, to do with Batman, but it has everything to do with 1994. Whatever the case, whether you’re celebrating Halloween early this weekend, or if you’re waiting until the official day next week, we here at Abnormal Use and Gallivan, White, & Boyd, P.A. wish you a safe and happy holiday. If you’re in the Halloween spirit already, though, you can check out some of our past Halloween posts. Here is our very first, if brief, Halloween post from October 31, 2010 to be compared to our equally short Halloween post from October 31, 2011. But there’s far more substantive Halloween content in our archives! Do you remember Steve Buckingham’s fabled “I Want My Halloween” pop culture post from just last year? Or, how about last year’s “The Top 6 Paranormal Products on eBay Right Now“? Earlier this week, we ran “Halloween Fear Fest Leads To Litigation.” Oh, and back in 2010, in a scary edition of “Friday Links” redubbed “Scary Links,” we brought you a list of our favorite scary movies. How’s that? In some other non-Halloween related news, our own Chris Kelly, the partner in charge of our Charlotte office, had an article published this week in The Transportation Lawyer: A Comprehensive Journal of Developments in Transportation Law (October 2012 – Volume 14, Number 2). The title: “Judicial Note and Google: Ancient Doctrine and Internet Search Engine.” Believe it or not, there’s a whole subset of jurisprudence out there on Google Maps, which is a helpful utility to any transportation lawyer. Check it out! Don’t forget! You can follow Abnormal Use on Twitter here and on Facebook here! Drop us a line! In a recent article on “popcorn lung,” we here at Abnormal Use noted that such cases were typically occupational exposure cases where plant workers were exposed to the chemical diacetyl. Solis v. BASF Corp., No. 1-11-0875. (Ill. Ct. App. Oct. 4, 2012) was one such case: Solis filed suit against BASF, a company that provided diacetyl to his employer, for injuries allegedly stemming from his occupational exposure. He claimed that BASF failed to issue proper warnings as to the dangers of diacetyl. In 2010, an Illinois jury awarded him $30.4 million in damages. Recently, an Illinois appellate court reversed and remanded that verdict because of an improper jury instruction on BASF’s duty to warn (as well as failing to submit a statute of limitations issue to the jury). By way of quick refresher, diacetyl was an ingredient in artificial butter flavoring like that found in microwave popcorn. Inhalation of diacetyl fumes can cause a relatively rare lung disease called bronchiolitis obliterans, also known as “popcorn lung.” Plaintiff worked at two flavoring plants from 1989 to 2006 where he worked around the chemical diacetyl. BSAF was one of the diacetyl suppliers at the plant where Plaintiff worked from 1998 to 2006. In 2006, Solis was diagnosed with popcorn lung, and he now claims to have just 25 percent of normal lung capacity. Plaintiff claimed at trial that BSAF negligently failed to disclose to users of its diacetyl products the existence of a 2000 study showing the dangers of diacytel. The trial court instructed the jury that an issue was whether “BASF Corporation was negligent in . . . in failing to disclose the results of scientific research available to it indicating that the use of diacetyl causes lung disease or risk of harm to others.” On appeal, BSAF argued, among other things, that the jury was improperly instructed as to the scope BASF’s duty to warn. The appellate court agreed and found the trial court’s instruction to be too expansive based on the case law regarding the duty to warn. It noted that a plaintiff must show that a defendant knew or should have known that the product was unreasonably dangerous and failed to warn the user of its dangerous propensity. Accordingly, an instruction that BASF had a duty to warn with all information “available to it” just didn’t cut it. The court also held that the instruction improperly failed to specify the universe of individuals BSAF was required to warn (e.g., Plaintiff vs. Plaintiff’s employer vs. the flavoring industry vs. the general public). I guess this is an instance where cut and paste can really be your friend. On October 1, 2012, the Southern District of Florida issued its opinion in the case Hernandez v. Altec Environmental Products, LLC, No. 10-80532-CIV, 2012 WL 4511341 (S.D. Fla. Oct. 1, 2012). The case involved Guadalupe Hernandez, an employee of Asplundh Tee Expert Co., who suffered a severed hand while operating a wood chipper manufactured by Altec Environmental Products, LLC (“AEP”). Mr. Hernandez and his wife brought suit against AEP and another Altec entity, and both defendants moved for summary judgment in the case. 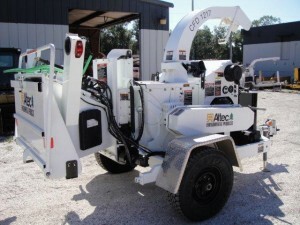 The wood chipper at issue in this case was a CFD 1217 model. As designed and manufactured, the wood chipper had a guard that covered the bottom of the housing for the in-feed roller, which was referred to by the Court as the safety cover. The safety cover was bolted to the wood chipper with eight bolts. On the day of the accident, however, the safety cover was not on the wood chipper. Why? Because it had been removed by the Plaintiff’s employer. Mr. Hernandez was aware of that fact. Apparently, the safety cover was removed because the machine had a tendency to jam with debris, which needed to be constantly cleared from the in-feed rollers to keep the machine working. Mr. Hernandez had been trained by his employer to clear debris from the machine with his hand, which could only be done with the safety cover off the machine. Mr. Hernandez was not paying attention as he cleared debris with his hand on the day of the accident, and that’s when he got his hand severed. At the hearing on the instant motion, the Court pressed Plaintiffs’ counsel to cite any cases that held a manufacturer strictly liable for failing to modify a design of a product that when used as directed was not harmful or dangerous, but when foreseeably misused or put to an unintended use, could be found to be unreasonably dangerous. There is, however, a critical factual difference between this case and Norton. In Norton, the mower was found to be defective or unreasonably dangerous as designed. In this case, it is undisputed that the wood chipper as designed was not dangerous. Plaintiffs have no authority for the proposition that a manufacturer may be strictly liable for a foreseeable misuse of a product or for a product that is not unreasonably dangerous as designed, but which merely functions in an allegedly unsatisfactory or inefficient manner. When I started reading this decision, I thought it would be a run-of-the-mill products case with no potential for implications beyond its own facts. But this is a sneaky case. Imagine if the plaintiffs’ argument had worked. Strict liability would have expanded significantly. Manufacturers would be liable not only for protecting people from their own lack of common sense (i.e. placing your hands in the vicinity of moving machinery), but also when their products were modified from their original design to be more dangerous. That is a dangerous concept indeed. We recently reported on the Consumer Product Safety Commission new safety ban on Bucky Balls. Well, now, there’s a new allegedly “dangerous” toy ball on the market. This time, it’s a product called Water Balz, marketed by DuneCraft Inc. These brightly colored balls are about the size of a marble, but they can grow to the size of a racquetball when placed in water. You can watch the product in action here. What makes Water Balz so “dangerous?” Well, much like the Bucky Balls, they don’t mix well with toddlers who treat them as food. Two Texas parents recently found this out when their toddler ingested one of her older sister’s Water Balz. When the toddler started having stomach problems, the parents suspected she had eaten one of the Water Balz. Their concerns grew when they read the label, which explained that the balls expand up to 400 times if placed in water. The parents took the girl to the hospital, but over the next 48 hours, the girl’s belly grew bigger and bigger, and her symptoms didn’t resolve. Finally, the doctors operated. In so doing, they cut open her intestine and discovered a bright-green Water Balz nearly an inch and a half across. Reportedly, the young toddler has fully recovered. For now, no lawsuits have been filed over Water Balz. We suspect that will change in the future. Water Balz again raise the age old question for toys that cause injury. Namely, whether the injuries are due to some inherently defective nature of the product or poor parental supervision. I don’t think anyone would dispute that ingesting a chemical ball designed to expand in water creates a substantial risk of harm. But the real question is, given that the product is not intended for ingestion, is it an unreasonably dangerous product? Obviously DuneCraft’s CEO, Grant Cleveland, doesn’t believe Water Balz are unreasonably dangerous. He told Reuters that said he was sorry to learn of the incident, but placed the blame squarely on the parents. Said he: “An eight-month-old has no business being near that product. Trying to turn it in to a public risk is absurd.” He also noted that the Water Balz product already carries warnings on the label and that the product is only recommended for kids over 3 years old. I guess we’ll have to wait and see what happens. It is not surprising, however, that some attorneys have already put out the APB for Water Balz plaintiffs. Ever watch a horror film and think about all the potential tort claims? Think of all the car manufacturers who could be sued because their vehicles failed to start when needed the most. Certainly, those under-staffed hospitals in the Halloween movies breached a duty of care. And, what about premises liability claims for all those slip and falls suffered while fleeing the killer? As we here at Abnormal Use like to believe, horror films are a microcosm of real life. Take this new suit in Illinois as an example. According to CBS Chicago, the father of a girl who tripped while being chased by a Halloween character has sued Six Flags. Last October, the girl visited Six Flags Great America for the Halloween-themed “Fright Fest.” While walking through the park, a “character” jumped out of a port-a-potty and chased the girl, squirting her with a water gun. As is always the case when fleeing a villain, the girl tripped and fell, suffering some scrapes on her arms and legs. The girl’s father is now seeking $30,000 in damages on her behalf. The suit alleges the park was negligent in encouraging employees to frighten and chase patrons despite the presence of tripping hazards. The report, however, does not indicate what tripping “hazard” caused the girl to fall. Based on knowledge of horror films, we assume that fleeing from a predator creates new tripping hazards. Even though the facts in the report are sparse, Six Flags’ liability in this case is questionable. While we do not know the age of the girl, by attending an event known as “Fright Fest,” she should have assumed the risk of being confronted by a “Halloween character.” Admittedly, jumping out of a port-a-potty is a little sketchy, but that fact alone shoudn’t render the park negligent. Unfortunately, we do not know how the character pursued the girl. Chasing her violently and physically pushing her to the ground is one thing. Pursuing her at a Jason Voorhees-like pace is another. Sure, all is fun until someone gets hurt. But, do we want to water down haunted houses and Halloween experiences over the fear of some scrapes and bruises? At least movie directors don’t have these same constraints. In the small, God-fearing town of Redemption Valley, a young boy’s body is found dead and mutilated. Is it a ritualistic killing? The local bad boy, Joel Flood, is arrested and put in jail. A black-garbed, “devil-worshipping” metalhead, he must be guilty… or is he? 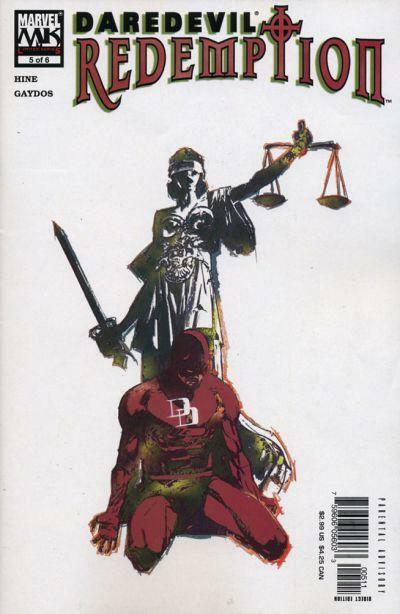 Enter attorney and super-hero Matt Murdock, brought in to save the troubled teen from what looks like a witch-hunt by an outraged community desperate for justice… and the death penalty. This may be the most important case of Matt’s career. A loss means justice denied and certain death for his client. That’s some heavy duty material there. No wonder it caught Lady Justice’s attention. So we hear that Newsweek will go the way of so many other print magazines before it and go all digital. Alas. Back in the day, we were Newsweek subscribers, but then again, so were lots of folks. How long has it been since you’ve read the official Abnormal Use mission statement, published way, way back on January 4, 2010? Well, that’s too long! Did you know that you can follow our fearless leader, Mills Gallivan, on Twitter? To do so, simply click here. For Wine, Old = Good . . . For Legal Claims, Not So Much. A federal court just taught a valuable and expensive lesson to a wine connoisseur: Unlike wine, legal claims age poorly. In the late 1980’s, billionaire William I. Koch bought bottles of wine represented to have belonged to President Thomas Jefferson. When he discovered that Thomas Jefferson actually had not owned the wine in question, he sued Christie’s Auction House for fraud in New York federal court. However, the Second Circuit recently upheld the district court’s dismissal based on an expiration of the statute of limitations. See Koch v. Christie’s Intern. PLC, — F.3d —-, NO. 11-1522-CV (2d Cir. October 04, 2012). Koch’s argued that Christie’s promoted as authentic a cache of wine that was supposedly bottled in the late 1700’s and linked to Thomas Jefferson. Koch alleged that these “Jefferson wines” were, in fact, counterfeit, and that Christie’s knew or recklessly did not know of the wines’ dubious nature. Koch purchased four bottles of the now discredited Jefferson wines from third-party dealers in November and December 1988, allegedly relying on promotional representations made by Christie’s. In 2010, he brought suit on the issue alleging fraud and racketeering by Christie’s. In 2011, a district court judge dismissed the case, finding Koch had missed the statute of limitations on the racketeering claim. The heart of the issue was the operation and scope of “inquiry notice.” Attorneys for Christie’s argued that news coverage of the Jefferson wine issue should have put Koch on notice at least ten years prior to his filing suit. Koch argued that inquiry notice doesn’t trigger the running of the statute of limitations. Instead, he said the statute doesn’t begin to run until a plaintiff has knowledge of a defendant’s scienter, as well as the alleged injury.